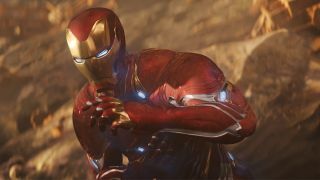 Avengers: Infinity War writers say Avengers 4 isn't going to fix things: "It is a different movie than you think it is"
Speaking to Buzzfeed, Infinity War and Avengers 4 (give us that title, damnit!) writers Christopher Markus and Stephen McFeely dissected – or rather, gave a post-mortem – for the state of play heading into Avengers 4 next year. “[Avengers 4] doesn’t do what you think it does,” reveals Markus. “It is a different movie than you think it is,” he says, with words that should strike fear into the hearts of Marvel fans everywhere. But what about those deaths? Everyone’s coming back something something Quantum Realm something something Captain Marvel deus ex machina, right? Hmm. About that.